We're Hiring a (paid!) Fall/Summer Intern! Want to be working on an activist fashion blog, producing an ethical clothing line, publishing original research and journalism on various media outlets, building a network and collaborating with Muslim creatives and creatives of color internationally, spending time with someone who is perpetually distracted (that's me), AND making money? Read on. While strong preference will be given to Chicago-based applicants (with secondary preference for NYC and LA locations), this position is able to be completed remotely--nationally or internationally! The JooJoo Azad internship is designed to support Muslim women/femmes who are building their empires -- in entrepreneurship, journalism, and media--and work with them in developing and furthering their networks, connections, portfolio, writing, activism, and leadership. We cannot rely on our oppressors to tell our stories. We must document our own narratives. 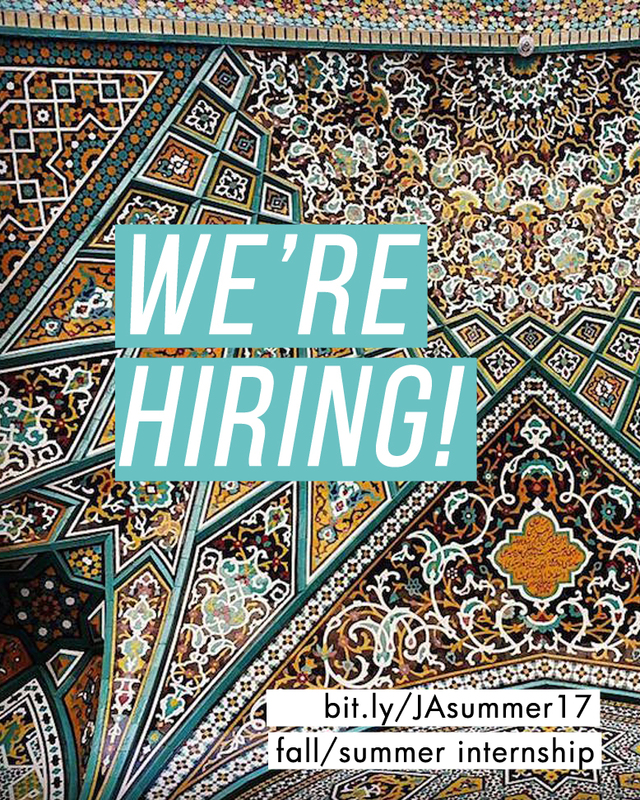 Creative, activist-minded Muslim women/femmes who are ready to take sh*t down--online and offline--are encouraged to apply to work with us! Application deadline is May 21st, 2017 at midnight (CST) and interviews will take place the following week. The position will begin June 2017 and interns are expected to work a minimum of 20 hours a week for 6 months, and after completion of the internship will receive a stipend. To apply, please send resume, cover letter, social media accounts, and portfolio of relevant work to hoda@joojooazad.com with the subject line SUMMER/FALL 17 INTERN APPLICATION by May 21st to be considered. Please be sure to have read and understood the complete internship description and qualifications necessary prior to submitting an application. LOOKING FORWARD TO READING YOUR APPLICATIONS! Deadline is May 21st. Let's do this.